I went back to South of France to see my family and friends, and I took a stroll to the beach to take pictures. It was almost sunset but still bright. Cloudy sky, rocks and interesting waves, I gave a try to long exposure shots to capture the waves motion to get a smooth and blurry effect, and also, try to capture the colored sky. The fact is, even with ISO 100, F22 or more, the photo was to bright. I gave a chance to a dark transparent plastic sheet that I have in my backpack (I sometime use it on my flash), but it wasn’t really great. 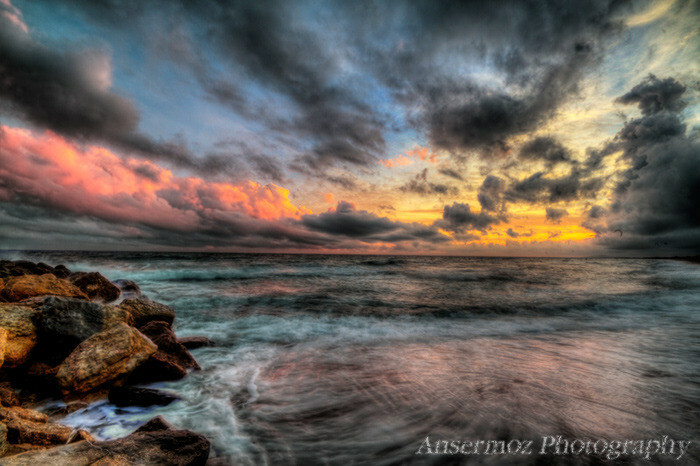 So I was wondering how seascape photographers are able to accomplish those kind of shot, and it comes to filters. I was almost able to accomplish the expected effect on post-production with HDR image, but… it’s still not exactly what I wanted. That’s why I was looking to learn more info about lens filters (UV filters, ND filters etc.) and decided to do some search about them. I found interesting photography books at the library, and also some good videos on Youtube. Here are my results, I hope that it will help you to get a better knowledge on the topic and get better photos if you are using them. Books that I have quickly checked so far, and books are still a great way to learn techniques etc, in our digital era. A nice video from The Art Of Photography with Ted Forbes. Video from The Art Of Photography Channel on Youtube. Update: I have ordered few filters on Amazon that I post here. They were cheaper than in store and work quite well. Maybe more expensive ones are better under certain conditions, but so far they work well for me. Two videos from The Camera Store TV from Calgary. Video from The Camera Store TV Channel on Youtube. [How] Tags: Filters, HDR, Lens Filters, ND Filters, Neutral Density Filters, Polarizing Filters, Ted Forbes, The Art Of Photography, The Camera Store TV, UV Filters. 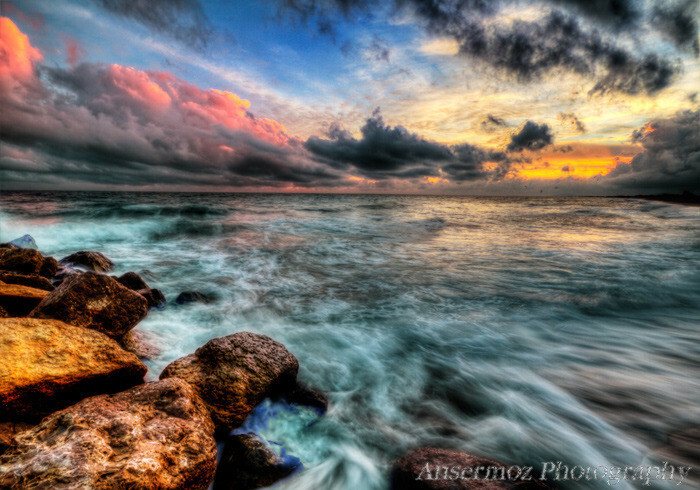 Web developer and photographer, Frederic Ansermoz likes challenges and being creative. Exploring and photographing the World is one of his passions.